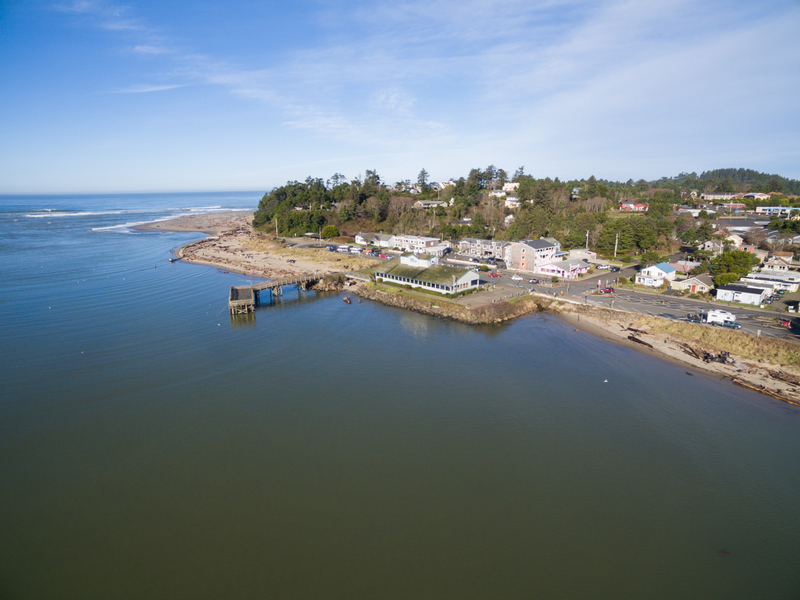 Welcome to Dock of the Bay #105 located in the historic Taft District of Lincoln City! 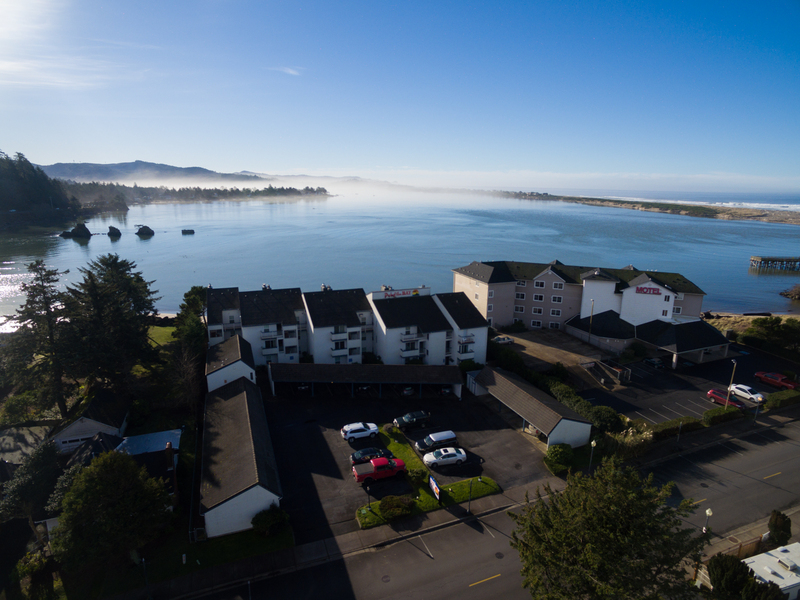 You'll have an amazing front row seat to the Siletz Bay and the Pacific Ocean from this first floor condo along with close beach access. 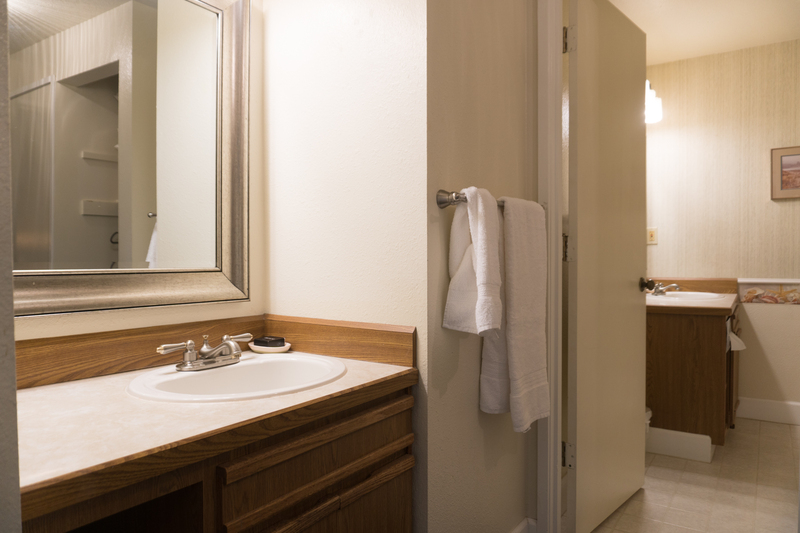 Stay during the Fourth of July and you won't even need to leave your condo to watch the beautiful fireworks! With one bedroom and one bathroom, up to five guests can comfortably sleep at this vacation rental. 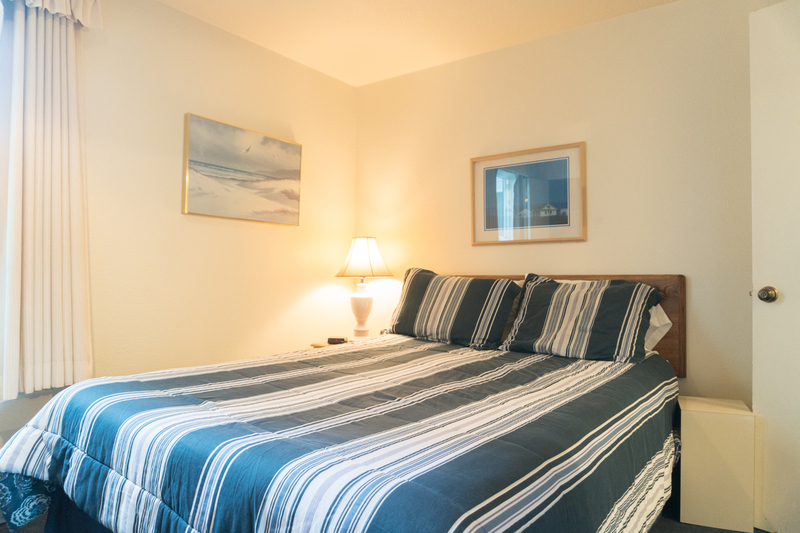 The bedroom offers a Queen size bed as well there is a twin roll away and queen air mattress for guest use in the unit. This home is perfect for a family of five who are just looking for a weekend getaway to the beach! 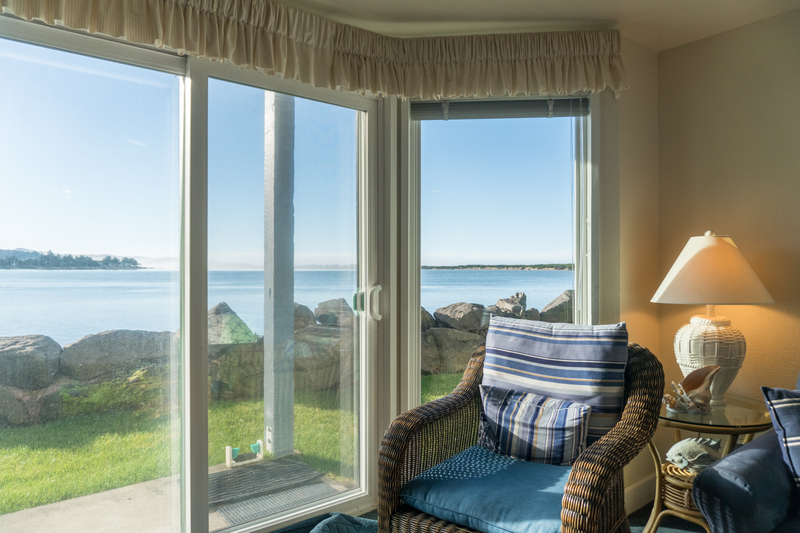 Step outside and you'll find yourself on your own private deck with close beach access just a few strides away! 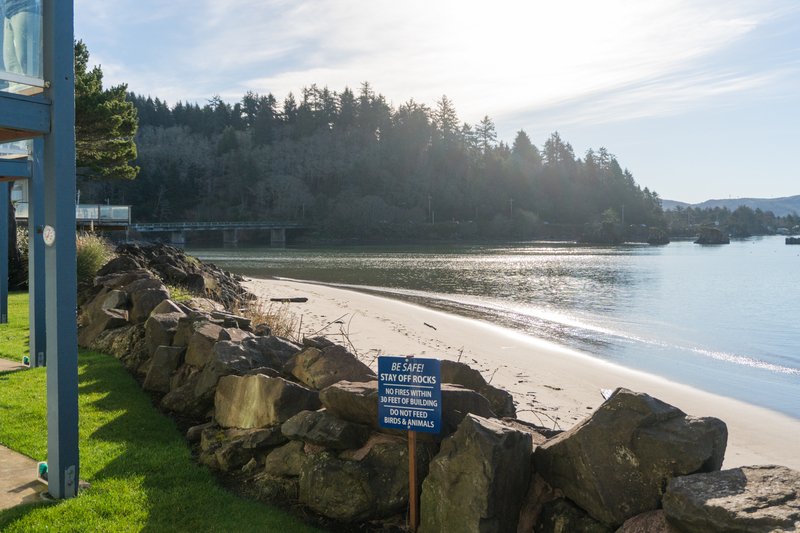 You'll also have plenty to do while staying in this part of town, including visiting Mo's Restaurant, famous for their clam chowder, and Highway 101 Burger, a delicious burger joint right off of Highway 101. You can even whip up your own meal right inside in the kitchen with ingredients you can find at the IGA, just a short walk down the street, also right off of Highway 101. If you're looking for a creative craft project, check out the two glass blowing shops right off of Highway 101 where you can blow your own glass keepsake. Book your stay at Dock of the Bay #105 today with Oregon Beach Vacations! "Great time loved the unit! Like the walkability of the neighborhood. Would definitely stay there again"
"Hello Trinka, Thank you for your review. We are glad to hear that you enjoyed your stay at Dock of the Bay #105! We are looking forward to hosting you again soon on the Oregon coast!" "Pleasantly suprised. Lots of extra dishes, glasses, bedding etc. Fit our cooking and sleeping needs.Could be cleaner." "Hello Joseph, Thank you for your review. We are glad to hear that you enjoyed your stay at Dock of the Bay #105. We are sorry that you did not find it as clean as it should have been. We would have gladly sent housekeeping back out to the unit to resolve this for you. Please don't hesitate to call our office with any questions or concerns regarding your rental in the future. Thank you again for your review, and we hope to have you stay with us again in the future." Definitely Recommend! Clean and Great Location! "Relaxing. Quiet. Clean. Good location. Well equipped. All around fantastic. " "Hello Blane, Thank you for your review. We are glad to hear that you enjoyed your stay at Dock of the Bay #105. We hope this means that you'll be back again soon for another great visit on the Oregon coast." "We thoroughly enjoyed of stay there. This is a nice unit and well kept and clean. A few suggestions: 1) The bed could be more comfortable and 2) this was a windy weekend and we found that wind blew into the unit from the outlets and the stop top. Easy for the owner to fix and it would make the unit less expensive to heat! " "Lovely stay. Only minor problem was could not find trash cans outside to dump garbage, and sporadic WI-FI connection until Monday morning." "Hello Renee, Thank you for your review. We are glad to hear that you enjoyed your stay at Dock of the Bay #105. We believe that this particular unit has a dumpster area since it is a condo unit. We are sorry for this inconvenience. We are also sorry to hear that the internet wasn't working during your entire stay. This was most likely a provider issue which can happen during the busy summer months. We hope to have you stay with us again in the future!" "Wonderfully clean. Great location can't wait to come back"
"Hello Jillian, Thank you for your review! We are glad to hear that Dock of the Bay #105 was clean during your stay! We are looking forward to hosting you again on the Oregon coast." "Great getaway for me and the hubby... would recommend this for couples and also families too bit we had a great time "
"Hello Kymra, Thank you for your review. We are happy to see that you loved your stay at Dock of the Bay #105! We hope to see you back again soon on the Oregon coast." "We were pleased with the accomodations at Dock of the Bay. We have been staying at Dock of the Bay for about 35 years and never get tired of the beauty peacefulness of this location." "Hello Clyde, Thank you for your review. We are glad to see that you had another relaxing stay at Dock of the Bay #105. We are looking forward to seeing again soon on the Oregon coast!" "I enjoy the condo very much. I would have loved for there to have been some coffee and a coffee pot. But otherwise very nice"
"Hello Yvonne, Thank you for your review. We are glad to see that you enjoyed your stay at Dock of the Bay #105. We do not provide coffee at this time, but we can look into getting this unit a coffee pot. Thank you for the suggestion. 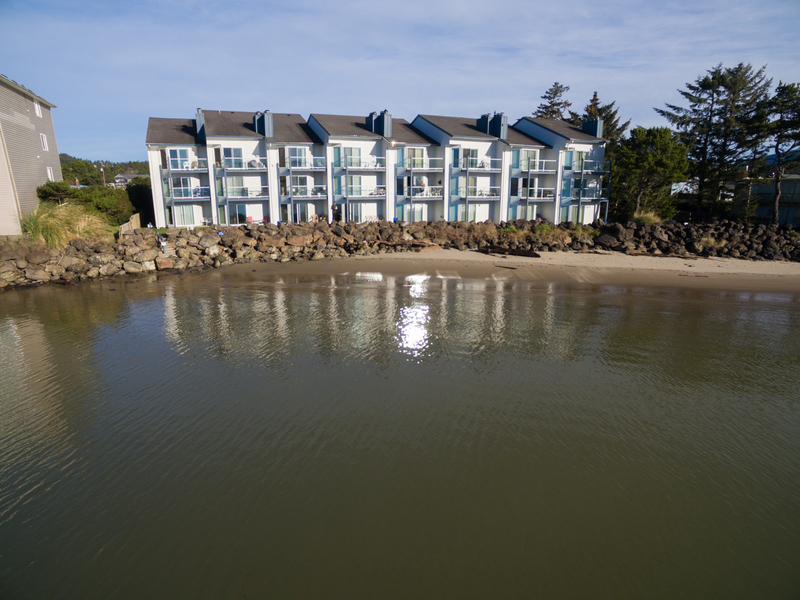 We hope to see you back again soon on the Oregon coast for another wonderful getaway!" "We had a great time at our first floor condo. The condo was well equipped for us old folks and was located close to restaurants and grocery shopping. It worked well for us,"
"Hello Keith, Thank you for your review. We are glad to see that you enjoyed your time at Dock of the Bay #105. We are happy to hear that the condo worked well for you and provided plenty of restaurants and shopping within a close walking distance for you! We hope to see you back again soon on the Oregon coast, and thank you again for your review." "We absolutely loved the location. The view from the patio was stunning. Just a short distance to just about everything you'd want to do. The rental was appointed very nicely with everything you could want for an extended stay. It was very clean and quiet. The only negative comment I can make is, the mattress on the bed was horrible. For that reason, Dock of the Bay #105 gets only 4 stars instead of 5." "Hello Cameron, Thank you for your review. We are glad to see that you enjoyed your stay at Dock of the Bay #105. We are sorry to hear that the mattress was less than adequate though. We will reach out to the owner about this and ask if they'd be interested in replacing it. Thank you for bringing tis to our attention. We hope to see you back again soon on the Oregon coast. Thank you again for your review." "This condo is in a great location and offers a great view. However the mattress on the bed is old and hard and really needs to be updated. It is not comfortable at all. In addition it would be helpful if you could leave instructions for guests. The TV was stuck in demo mode, the DVD player did not work, and we had a hard time finding the garbage cans to get rid of our trash. A simple book of instruction would be a great help. In addition the condo needs some TLC. The towel rack was falling out of the wall. The Carpet was also old and musty smelling. This place has so much potential but really needs to be better cared for. Overall we had a nice stay." "Hello Brett, Thank you for your review. We are glad to see that you enjoyed your overall stay at Dock of the Bay #105, but sorry to hear that you ran into a few issues with the unit. We will let the owner know about these issues, so thank you for bringing them to our attention. We would have loved to send maintenance out to the home for you to help figure out what was wrong with the TV. We will also put in work orders for these issues. We hope to have you stay with us again soon in the future." "The location is awesome. Bed and pullout ok. Biggest issue is the musky smell carpets are trashed and filthy and suite seems to have water damage judging from mildew smell.there is a sprinkler head 6 inches from sliding glass door so that would explain the water dmage smell if someone left door open at night. smell was tolerable when aired out but when you left suite and returned after closing it up for a few hours was unpleasent. overall was cheap for location but naively i thought that was because it was a new listing. have stayed several times at waters edge and love lincoln city this is the first letdown we have had but price and location makes it not too bad. would stay again just not this suite unless carpets changed water smell repaired. better location then waters edge but waters edge seems like newer building. there is a coffee pot no washer dryer." "The view is very good, but we had a few problems, the hideabed that they said we could use was cabled shut. Had a problem getting TV to work, they did come and fix it. The roll-a-way bed collapsed when she laid on it would not lock. Oven and stove top needed to be cleaned." "Hello Marjorie, Thank you for your review. We are sorry to see that you and your sister did not enjoy your stay at Dock of the Bay #105. We are sorry to hear that you had some problems with the beds and TV while you were there. We are glad to hear that the TV issue was able to be fixed for you during your stay, but we would have happily cleaned the oven and stove top for you, too. We hope to see you back again soon on the Oregon coast. Thank you again for your review."